My name is Isabel Freiberger. Before I started dancing I suppose you could call me a tom-boy or even a jock. I was incredibly dedicated to my sports career. When the time came to go to college, I chose Duke University because I decided to make the best choice for my education. Once I got there I let go of my plans of trying out for the lacrosse team and decided to focus on school and trying new things. And thank goodness I did! It really did not take long for me to throw myself head first into something new to occupy my time and exercise my body. Salsa was an instant love for me. The moment I took my first steps I was hooked, and I have never been the same since. I dance because it has this incredible power to bring me in to the present moment. When I dance, every thing else stops to exists, and it is in this space that I find joy and peace. Dance is not something I choose to do, but rather a need that I cannot ignore. For me, dance is expression, creativity, inspiration, healing, freeing and so much more. I have been dancing since I was 19 years old and a freshman in college. Though, I really like to think that I really started training about a year later. At that time, I joined a Latin dance team in North Carolina called The Cobo Brothers Dance Company. From there I progressed quickly and started travelling with the professional team. We travelled all over the world to teach and perform salsa. After working with the group for six years I chose to take my career in a different direction by going solo. I relocated to New York City and began working with a new dance partner, Fausto Felix. Before moving I auditioned for the television dance series “So You Think You Can Dance.” While I did not make it past the first few rounds of auditioning, my audition was featured on television during the show’s audition episode. Also, since moving to New York City, I have competed in several different salsa competitions with my dance partner. We placed 1st in the San Francisco Salsa Congress World Salsa Competition, 2nd in the cabaret division of the World Salsa Summit competition, 1st in the Just Salsa division of the World Salsa Summit competition. 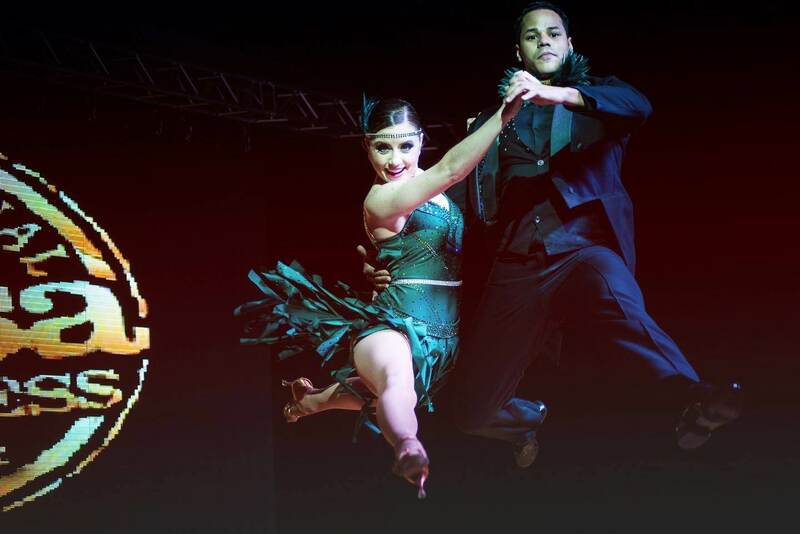 And most recently we placed 4th in the Puerto Rico World Salsa Open competition. We plan to continue competing in competitions all over the world. I am currently working on my Masters of Fine Art in photography. You can check out my work at www.isabelfreibergerphotography.com. I am most at peace when I am creating, be it for dance, photography or just with a pen and paper. I am an artist, and I have come to a point in my life where I have completely dedicated my life to my artistic goals. Photography offers a very different form of expression for me than dance does, and for that I am grateful. I also love making edgy jewelry, drawing, being outdoors, my family, cats, eating cookies and cream ice cream, traveling, and reading a good novel. I specialize in Salsa On2 or Mambo, but I also teach Salsa On1, ChaCha, Pachanga and Bachata. I have done limited training in some ballet and Jazz technique as well as some Tango during a four month stay in Buenos Aires. I continue training in many styles of dance including Jazz, Contemporary, Ballet, West African, Afro Cuban, Afro-Brazilian Samba, acrobatics and more because I believe that it is so important to keep learning and challenging my body with new styles of movement and expression. Fitness and wellness is very important to me as a dancer and as a person, so finding new ways to strengthen my body is very inspiring to me. For this reason and many more, I am quite passionate about yoga for the many health, strength, flexibility and emotional benefits.